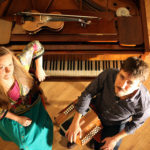 Celtic music meets Jazz, Flamenco, oriental sounds and traditional music from the Auvergne region of central France. Five musicians, five cultures explored in a musical adventure. Taking place in Auvergne in Central France, the fertile land between Ireland and the Mediterranean, Voyage de Nuit is supported by Tomme Fraiche Productions. The 2007 meeting of Irish flautist/singer Nuala Kennedy and French guitarist Philippe Guidat at the International OMI Music Residency in New York was a turning point for both musicians. 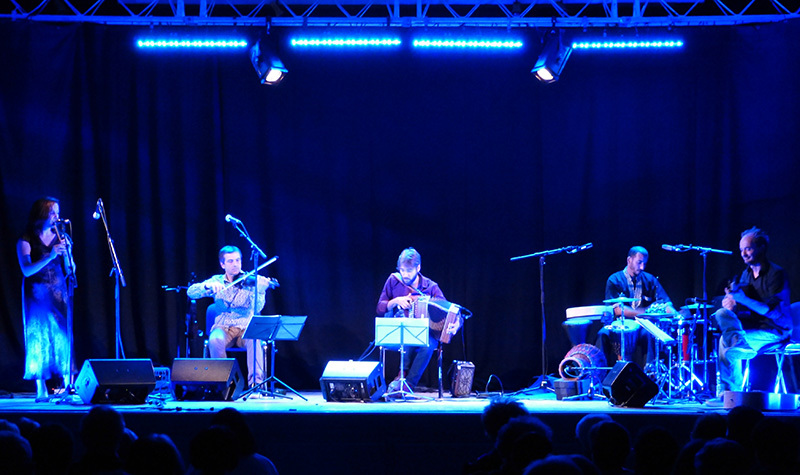 The actual bands line-up is formed by François Breugnot (fiddle, vocals), Filippo Gambetta (diatonic accordion), Nuala Kennedy (Irish wooden flute, whistles, vocals), Hamid Gribi (percussions) and Philippe Guidat (classical guitar). Among the collaborators of Voyage the Nuit we mention Luke Daniels, Fiona Black, Mario Caribe and Malik Adda. Festival des Hautes Terres, Festival du Volcan de Montpeloux, Festival Eurofonik, Festival Les Automnales du Puy-de-Dôme, Festival Les Tradigordines, Festival du Haut-Livradois, Grange des Vachers de Rosières, Festival Rio Loco, Halkaer Festival, Musikforeningen Drauget, Cafe Ellegaard Sommersted.